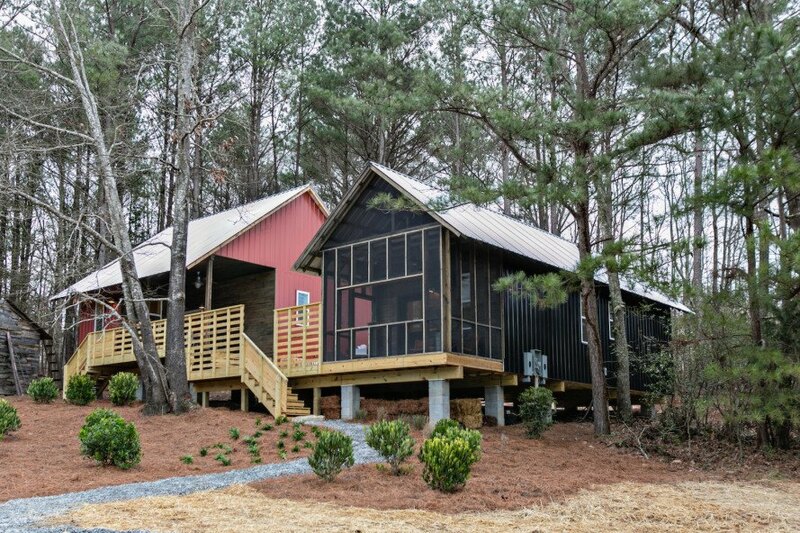 High-quality design and affordability don’t have to be mutually exclusive—just ask the architecture students at Auburn University’s Rural Studio, a “social justice architecture” program that has been designing sustainable and low-cost homes for the rural poor in an initiative called the 20K Project. 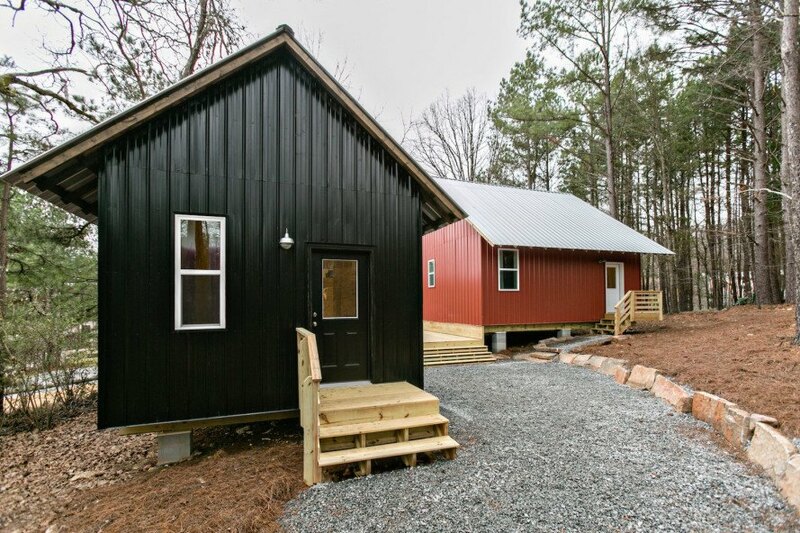 Now, after a decade of design/build experience, Rural Studio is hoping to take their affordable designs to mass production, starting with its first two dwellings built out-of-state at the bucolic New Urban village of Serenbe in Chattahoochee Hills, Georgia. While the partnership between Rural Studio and the high-end Serenbe community may seem odd at first glance, the mutually beneficial collaboration provides a valuable field testing opportunity for the 20K Project and gives students their first chance to work with a commercial contractor and take the project through all stages of construction, including zoning and code compliance. 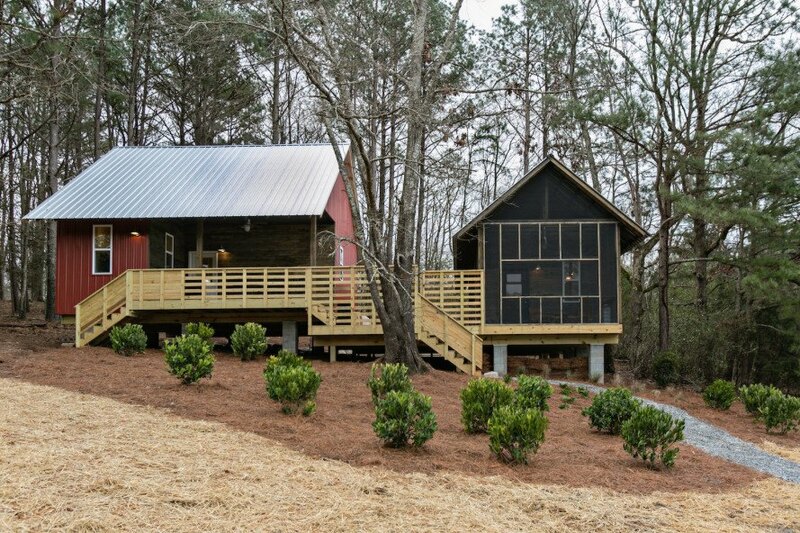 In return, Serenbe’s Art Farm has gained two live/work studios that will serve as housing for the community’s artists residency program. Rural Studio began the 20K Project in 2005 as a research project that aimed to create a mass-market affordable house that could be built for $20,000, a cost considered affordable for potential homeowners living on Social Security who are unable to qualify for commercial credit. To date, students have designed and built 17 low-cost prototypes, which include one-bedroom and two-bedroom models. 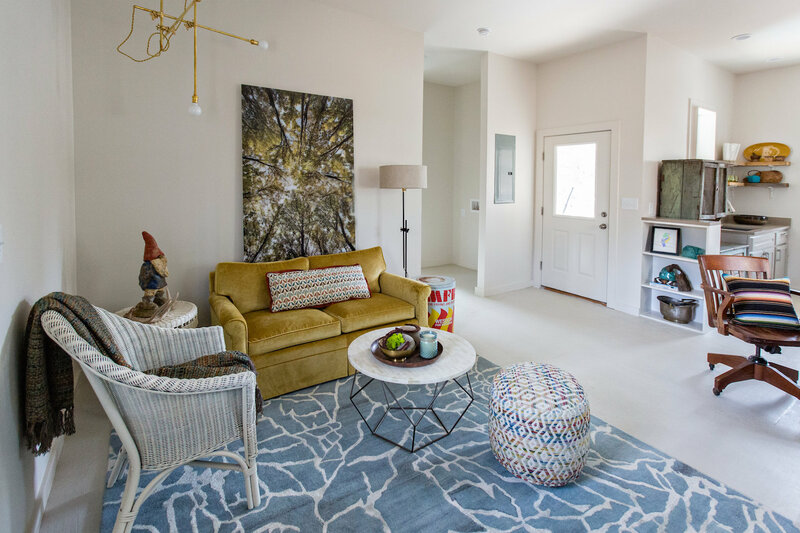 The two one-bedroom, one-bath homes installed at Serenbe measure under 550 square feet each. The materials, which were priced at Home Depot and include corrugated metal cladding and timber, cost about $13,000. Elevated on piers, the homes are designed with passive heating and cooling principles to keep utility costs low. 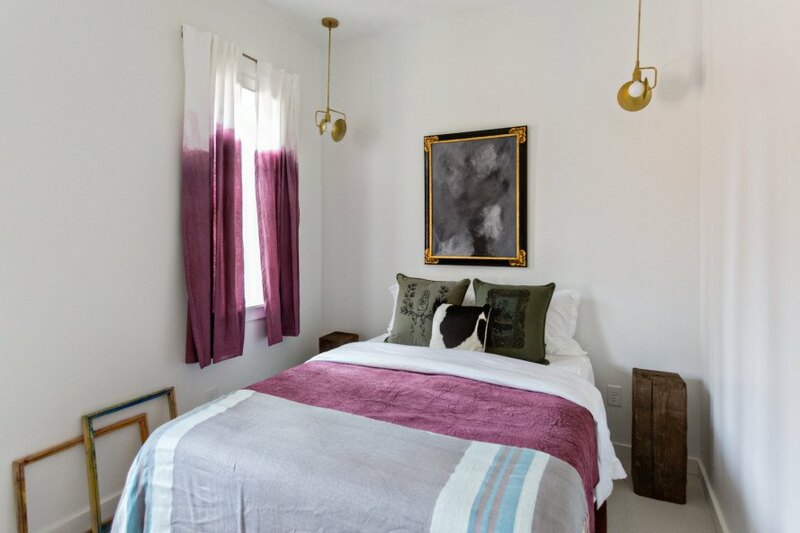 The two cottages at Serenbe are beautifully furnished and finished—as expected from two prototypes built to show what the 20K Project can accomplish given a generous partnership. “Once these field tests have been deemed successful it is the ultimate goal to develop a set of construction documents and specifications complete enough for construction in a climate similar to our local region, and easily adjusted to meet the building requirements of other areas beyond,” says a statement in the press release. 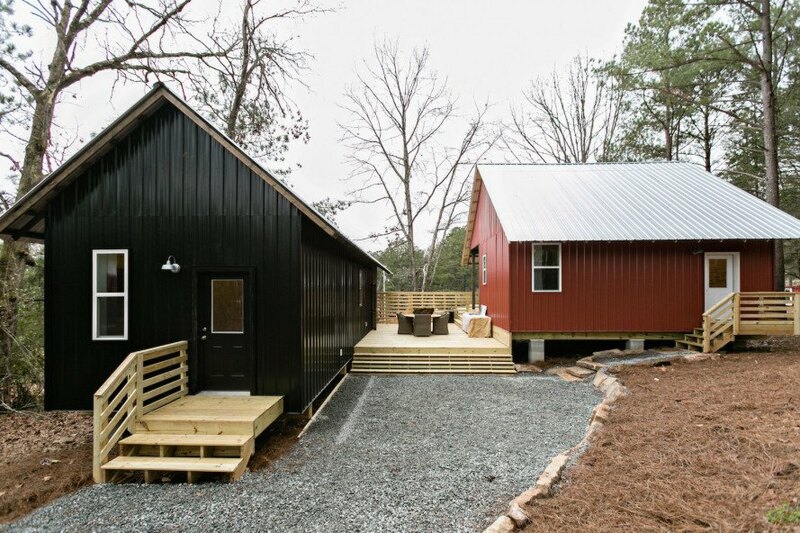 Though these student-designed prototype homes at Serenbe are admirable and beautiful, they also have a long way to go. 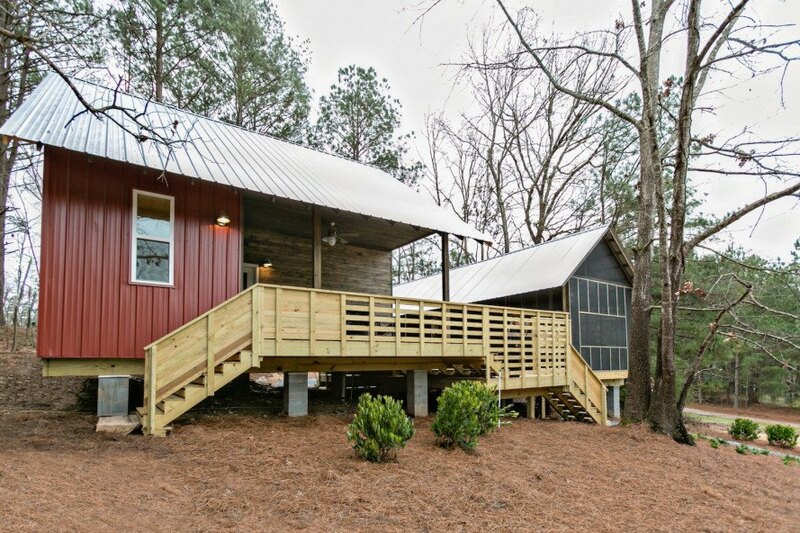 According to ArtsATL, the two cottages and the connecting deck cost $135,000 to build, not to mention the challenges of hiring contractors for low-cost homes and zoning ordinances that regulate building size. Yes Yes YES! Housing is fast becoming the crisis issue all around the country, and the New Economy us not exactly showering us with opportunities that would pay the mortgage on a traditional mid-six-figure home. If you make less than $25 an hour, or $50k a year, it's just not feasible. HOWEVER... $20k? Or even $25k, $30k, heck let's just shoot for the moon, $40k? Yes, that becomes achievable! I can have a HOME! A home that's MINE! On the societal level, the homeless crisis here in Portland for example is, inarguably, the single largest, most pressing problem faced by our city. Just 6 or 7 years ago, our city built a brand new apartment building designed for career homeless people to move into for long term, permanent housing. That's all well and good, but the small, stark and very, very utilitarian housing units ultimately cost the taxpayers over $250,000 PER UNIT! THAT'S OVER A,QUARTER MILLION DOLLARS FOR EACH ROOM! THAT'S ASININE, UNSUSTAINABLE AND JUST PLAIN STUPID. We can do better. The 20k Project demonstrates this admirably well. Thank you! You be lucky if you can just live without paying cut throat property taxes. Even though it cost 20k, you will be taxed according to market rate, because F up tax clerk will tax you at what it's worth usually 150k+ which is the market rate for a new house anywhere in USA. so your new property tax bill will be 2k+ a year easily. Won't pay, well the county will just auction it off from beneath you. Welcome to america where banks and gov. are the pirates. This is a great initiative. With the way the economy is going more and more people might be needing cheap housing alternatives like this. It's an added bonus that they are beautiful! 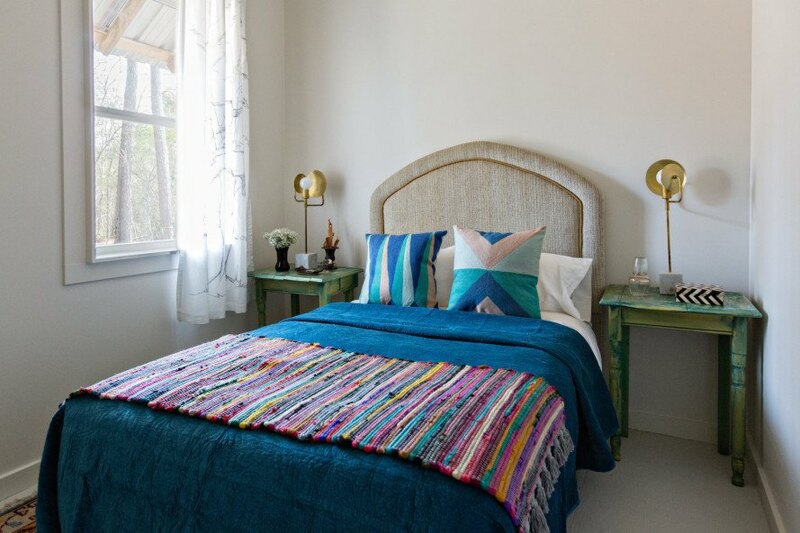 The black walls absorb thermal energy, most colors also do this. From heat-transfer studies I'd suggest insulating outside the sheathing with furring to allow condensation to drip off, and, reduces radiative gain-loss to wind & sun. If you do this it triples the R-factor, hemp-mortar also does this and is fireproof, won't allow fungus to grow against it and transpires moisture so allows walls to dry out. I think they are great. Great job! They are pretty nice. But if they are passive design, why is one of them black? So the goal was to spend $20,000 / House... but the article ends and says the 2 houses cost $135,000 (minus labor). What was the point of this article then??? to prove that a mark like $20,000 is just a gross underestimation?? Rural Studio began the 20K Project in 2005 as a research project that aimed to create a mass-market affordable house that could be built for $20,000, a cost considered affordable for potential homeowners living on Social Security who are unable to qualify for commercial credit. To date, students have designed and built 17 low-cost prototypes, which include one-bedroom and two-bedroom models. 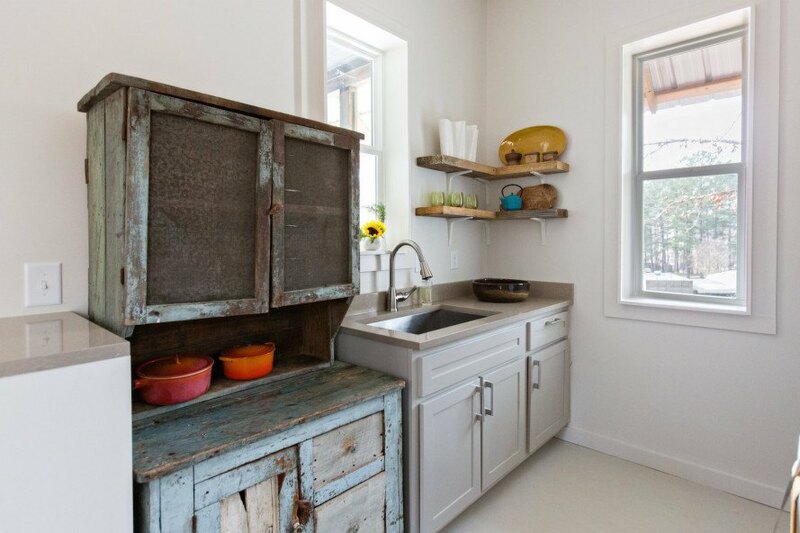 The two one-bedroom, one-bath homes installed at Serenbe measure under 550 square feet each. 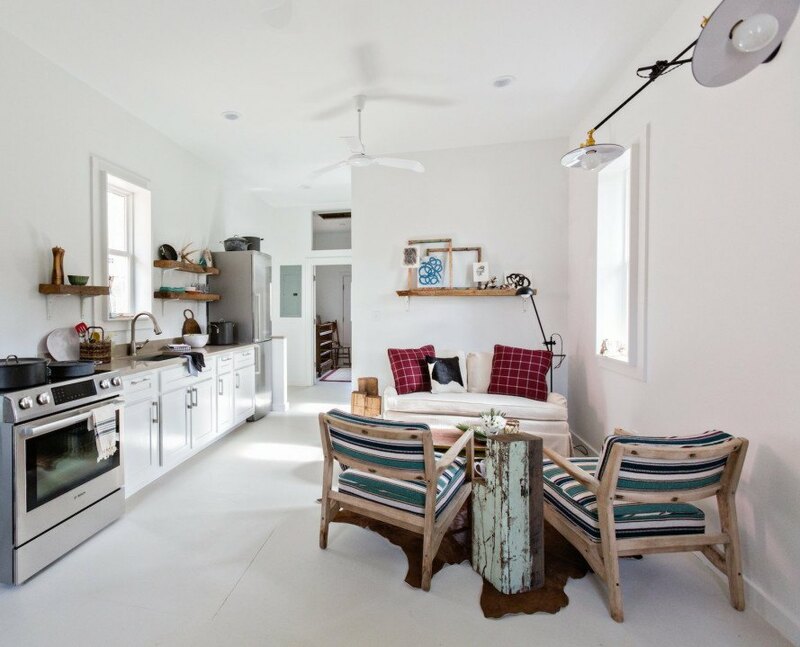 The two cottages at Serenbe are beautifully furnished and finished—as expected from two prototypes built to show what the 20K Project can accomplish given a generous partnership. “Once these field tests have been deemed successful it is the ultimate goal to develop a set of construction documents and specifications complete enough for construction in a climate similar to our local region, and easily adjusted to meet the building requirements of other areas beyond,” says a statement in the press release.